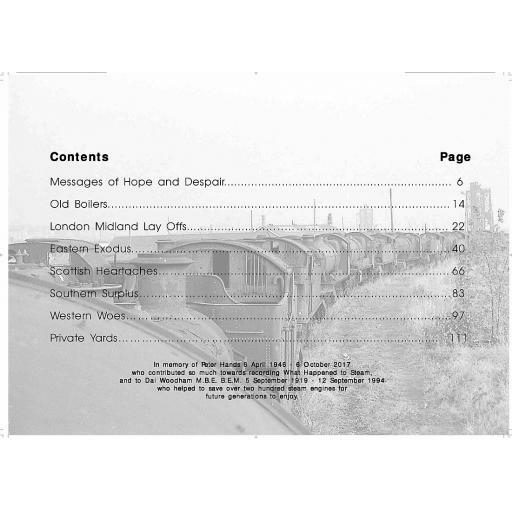 In this volume, we take a good look at the disposal and scrapping of the British Railways steam fleet through the 1950s and 1960s. Chapters deal with each region separately and are lavishly illustrated. 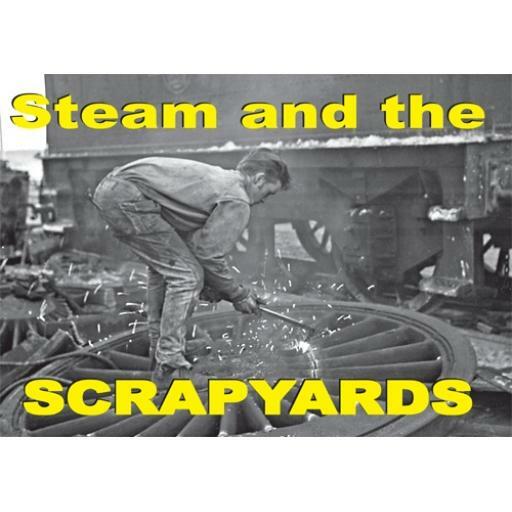 We explore how the private scrapyards became involved in the race to eradicate the steam locomotive. In addition, we recall how some locomotives enjoyed a temporary reprieve whilst acting as stationary boilers before they too fell victim to the scrappers armed with their "gas axes". Some of the locations seen within include Swindon, Crewe, Eastleigh, Derby, Glasgow, Horwich, Inverurie, Darlington, Doncaster, Kilmarnock, Ashford and so many more. A chance to recall those days of walking along the lines of scrap locomotives whilst taking their numbers for the last time and not to be missed.